ADAPTA COLOR is placed in a 24.000 m2 industrial enclosure that has been designed under the terms of best work conditions, environment harmony and preservation. 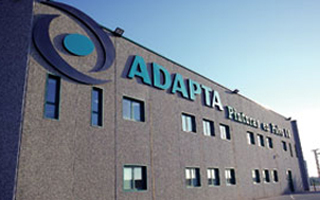 ADAPTA COLOR with executive responsibility is aware of the growing pressure for ever more demanding Quality Levels and the degree of competitiveness of companies has a priority aim which is to provide services which meet the expectations and needs demanded by its customers. Likewise, it is very aware in so far as aspects of safety and accident prevention, as a means of protecting the integrity and health of its employees, as well as giving a commitment to develop all of its activities with due respect for the protection of the environment. ADAPTA COLOR will encourage, help and support all of those preventative actions that anticipate the appearance of problems, both internal and equally external, and so it will carry out periodic internal audits, it will strengthen the processes that it believes are appropriate to achieve an on-going improvement in our Quality, Environment and Health and Safety in the Workplace systems. To continually search in our new designs for ways to prevent pollution caused by our products during their useful working life, likewise during their manufacture, taking the safety of personnel as one of our main interests, even though the improvement of the safety conditions for the installations might mean significant investments, as we hold the human values affected as the most important, both for each one of the workers and equally for the working community that makes up the Company. To provide the appropriate training to our personnel both in matters of Quality and Safety and equally for the Environment. We encourage them to develop good environmental and safety practices, both in the workplace and equally at home. 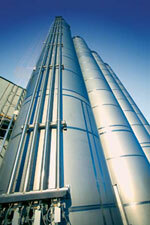 To provide the appropriate environmental information for the consumers of our products, we encourage energy efficiency and recycling by means of well designed products, wherever possible we will reduce emissions and wastes generated in the manufacturing operations, we will work with our suppliers to improve their environmental actions. Management principles and practices will be applied to carry out these commitments, which will be used as the basis to set out demanding objectives and goals. To review this Policy for the purpose of adapting it to the nature and magnitude of the activities and the products of the company, likewise to put it on display in places accessible to interested parties. 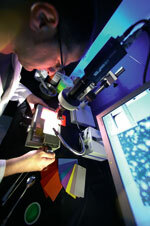 In order to comply with these aims, the ADAPTA COLOR management systematises and documents the control and guarantee activities throughout all of its processes, specifically providing the technical and human resources necessary to comply with that which is established in the Management Manual for the Quality, Environmental and Health & Safety in the Workplace Systems.